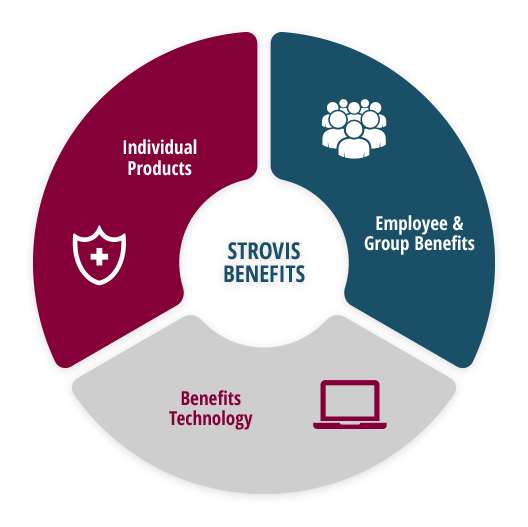 The Strovis Marketplace is a destination for individuals and employees to seek out individual health plan coverage, away from a group-sponsored plan. Our marketplace will allow you to shop and compare available plans both on and off the exchange at your leisure. In most cases, once you find the plan you like, the marketplace will navigate you directly to the carrier's website where you can apply online for coverage. All available carriers will be represented on our marketplace, and many of our carriers have established direct exchanges to showcase just their products. You can access them via the links on our Provider Resources page. You can also find guidance and descriptions on the various "metallic" plans available, which are Bronze, Silver, Gold and Platinum, as well as the rules regarding healthcare coverage in the post-reform era. Please keep in mind that the different categories show how you and your plan share costs, but the differing categories have nothing to do with the quality of care. The differences for each of the plans allow you to choose how low or high you want your monthly premiums, which, in turn, determines how low or high your costs are when you need care. Catastrophic health insurance plans are also available for those who qualify and would rather have that type of coverage. Catastrophic plans have low monthly premiums but very high deductibles. They may be an affordable way to protect yourself from worst-case scenarios, like getting seriously sick or injured. But you pay most routine medical expenses yourself. Not everyone is eligible for this plan. Your adviser can help you determine if you do. When choosing any of the plans, please remember that some people will benefit from subsidies offered through the Affordable Care Act. The ACA creates a subsidy system for low- and some middle-income families to help in the purchase of insurance. The law sets a cap on the amount of insurance premium that individuals and families pay based upon on income in relation to the Federal Poverty Level (this is re-evaluated annually). Consumers often receive subsidies in the form of an advanced tax credit, with the subsidy applied directly to the cost of their insurance. Subsidy amounts are based on projected income, so the amount available will differ from person to person. We realize navigating the complexities of the insurance exchange can be difficult and even frustrating, but, if at any time, you get lost or need assistance, our advisers are just a phone call away. Our Strovis health marketplace advisers will get you the answers you need and help you get the insurance that best fits your needs.